The politician Douglas Carswell (UKIP) has recently been arguing with the scientist Paul Nightingale about what causes the tides on Earth. Carswell said it was the gravitational influence of the Sun and Nightingale said it was the Moon. The debate came up in the context of Brexit. Using the tides as an analogy, Nightingale had argued that trade relationships with the EU were more important than those with more distant giants like China. 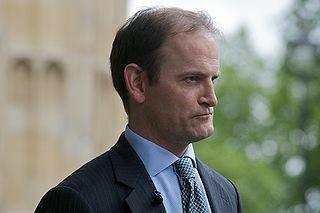 Giving Carswell the benefit of the doubt (after all, hundreds of years' worth of expert opinion might be wrong) we decided to do a back-of-the-envelope calculation to see who's right. where is the gravitational constant. 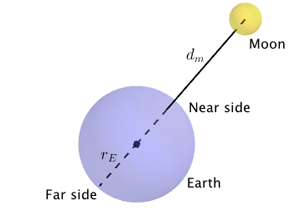 However, the tidal force the Moon exerts on the Earth is calculated by working out the ratio between its gravitational pull on the near side of the Earth and its pull on the far side. This means that the gravitational pull of the Moon is stronger on the near side of the Earth than it is on the far side. Now let’s do the same for the Sun, writing for the distance between Earth and Sun, centre to centre. This means that the gravitational pull of the Sun is only stronger on the near side of the Earth than it is on the far side. We therefore conclude that Nightingale is right. The ratio is far bigger for the Moon than it is for the Sun, so the tides we see are due to the Moon. Interesting and fun to read.